She’s been a Girl Scout, a troop leader, a cookie mom, and now she’s ready to go even further. 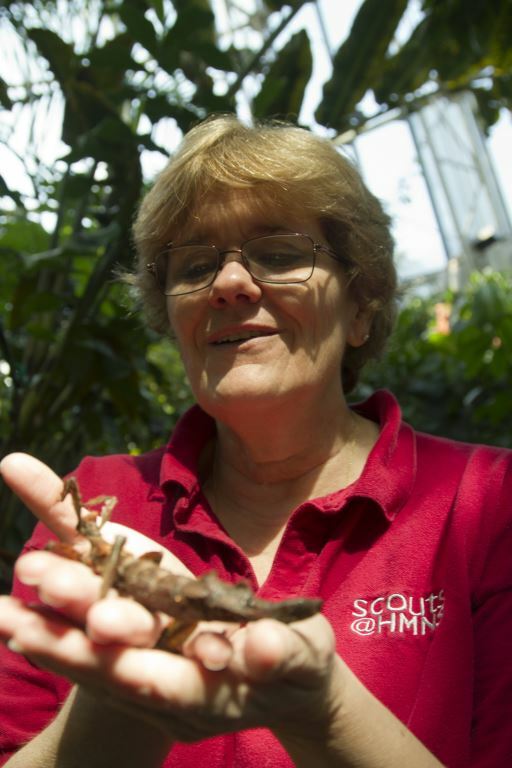 Michelle Connor is excited and ready to be the next Scout Programs Manager at the Houston Museum of Natural Science. Connor brings to the program an insider’s perspective on scouting with extensive experience working with HMNS Education Programs. Moving forward, Connor would like to inject fun, educational programming into classes that meet badge requirements for Boy Scouts and Girl Scouts. She has plenty of experience making classes exciting. Connor was a fifth-grade teacher before retiring, teaching a wide variety of subjects but specializing in science. 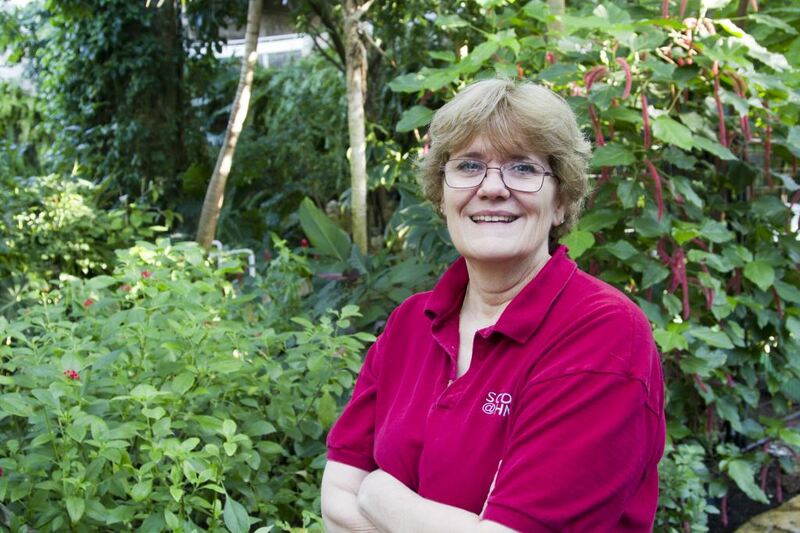 Connor got her start at HMNS as a volunteer after a butterfly gardening class with then-Greenhouse Manager Ory Roberts back in 2007. Connor always loved plants; her degree is in Floriculture, so this was as good a place to start as any. Throughout the class, Roberts talked about how helpful her volunteers were, and at the end, Connor asked how she could begin to volunteer. Connor loves many aspects of HMNS, including the Cockrell Butterfly Center and the live inhabitants of the Brown Hall of Entomology, like the giant prickly stick she is holding here. After successful stints volunteering in the greenhouse and in special exhibits such as Frogs! A Chorus of Colors, Connor was in love. 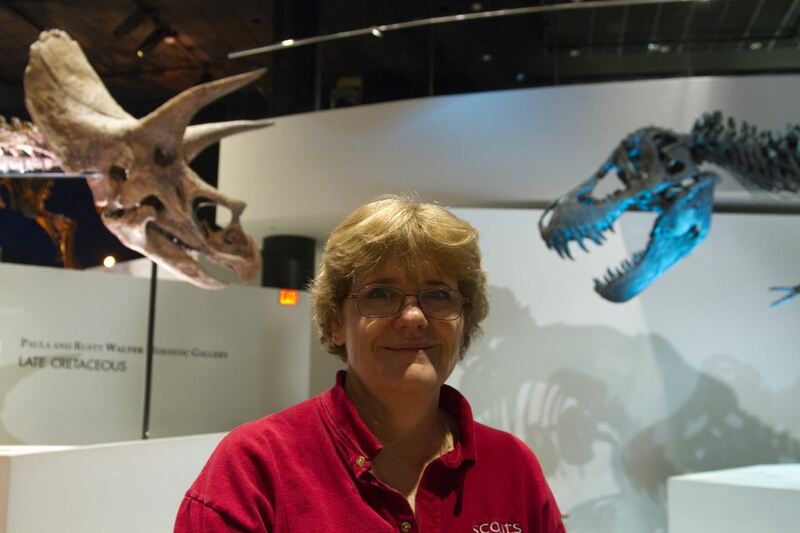 She was even voted President of the HMNS Volunteer Guild in 2013. Connor would spend nine months of the year volunteering and three months teaching for Xplorations summer camps. Hundreds of kids would enter Hogwarts each summer with Connor leading the way in Wizard Science Academy, a Harry Potter-inspired science camp. 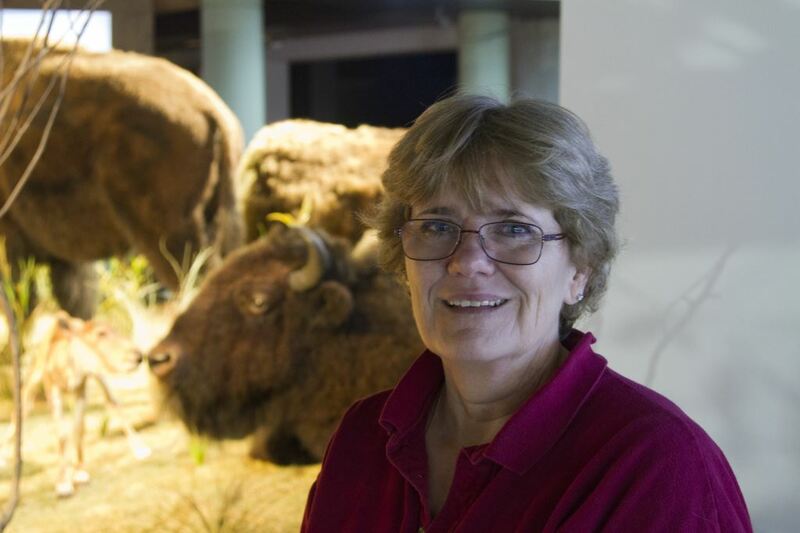 She learned firsthand the high standard HMNS holds for its educational programming, and she earned a reputation among staff as the kind of person who sees a problem and fixes it. Connor stood out as an applicant for the Scout Programs Director position in part due to her extensive background working with Boy Scouts and Girl Scouts. Connor was a Girl Scout herself. She still has her old sash! Connor completed the Wood Badge program through the Boy Scouts of America while her son was a Boy Scout. “Go Buffaloes!” she proudly proclaimed. Connor and her husband Jim have a son and a daughter, both of whom were Scouts themselves. Michelle held a wide variety of roles in her daughter’s Girl Scout troop, from cookie mom and assistant leader to gold award counselor and troop leader. While Jim was the den leader for their son’s troop, Michelle was heavily involved in summer day camps for Cub Scouts and was assistant scoutmaster when their son graduated to Boy Scouts. She went through the full Wood Badge training herself. Connor is slowly but surely reshaping Scouts@HMNS; she taught scout classes this summer and felt that changes needed to be made. She is beginning by rewriting all merit badge classes to introduce more interactive activities to make classes more engaging and fun. These classes will go beyond checking a box to indicate a requirement has been met. Connor wants to get past the “what” of each requirement and delve into the “why” and “how.” Even adding a component as simple as group discussion helps a lot. Connor is rewriting badge classes to better utilize the resources that HMNS presents, making them more enjoyable for Scouts and parents alike. In addition, the program is growing to cover more scouts than ever before. This spring, Scouts@HMNS is debuting 12 new badge classes specifically for Brownies, Juniors and Cadettes, 15 new Adventure classes for Cub Scouts, and two new Boy Scouts Merit Badge classes. All in all, there are 62 different classes for families to choose from, and Connor is working on making all of them exciting and enjoyable for all. In the end, Connor is motivated more than anything by the character she saw built in her kids through scouting. She is looking forward to helping more youth in the Houston area grow with scouting and HMNS. Can you please tell me when the next Webelow class will be where they can earn 5 badges in 1 day? Our son is signed up for Indian Lore on May 13th. Can you tell us what requirements need to be finished/started outside of class? Please also note that the link for the prerequisite work for the BSA Energy Merit Badge is broken. Do you offer private classes for Girl Scout Troops? I am the leader of a troop of 12 girls and they would love to earn the Junior Detective Badge. If so, how much would it cost per girl?